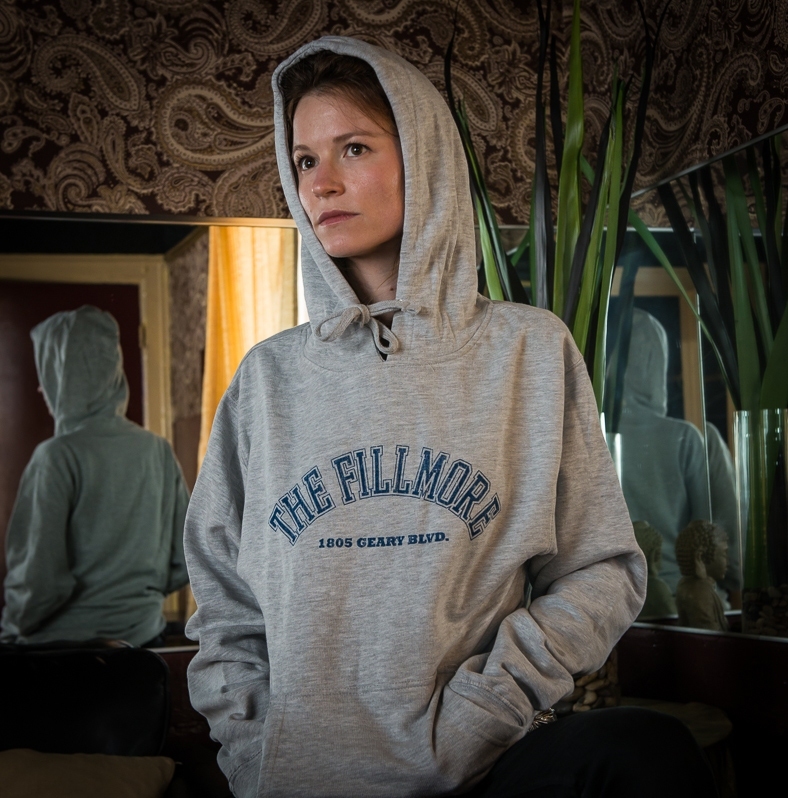 The Fillmore hoodie: classic venue, classic look & classic feel! 100% Cotton. Modeled by Jean Jeanie of San Francisco band Future Twin.